Fender Super Bullets Nickel-Plated Steel (NPS) strings combine the high output and dynamic sound of steel with the smooth feel of nickel; perfect for rock and other styles of music where the guitar needs to cut through. Fender Super Bullets are one of the world's most-popular sets of strings and for good reason. The German-made bullet end fits precisely into Fender tremolo blocks, enhancing sustain and stability. That means you get more for your money with Super Bullets: they stay in tune better and they resonate more. By the way, the bullet end isn't just for trem users; it also enhances sustain and stability on guitars with string-through-body type bridge designs. Fender's patented bullet-end creates a sonic coupling between the string and bridge block, for rock solid tuning stability and increased sustain. 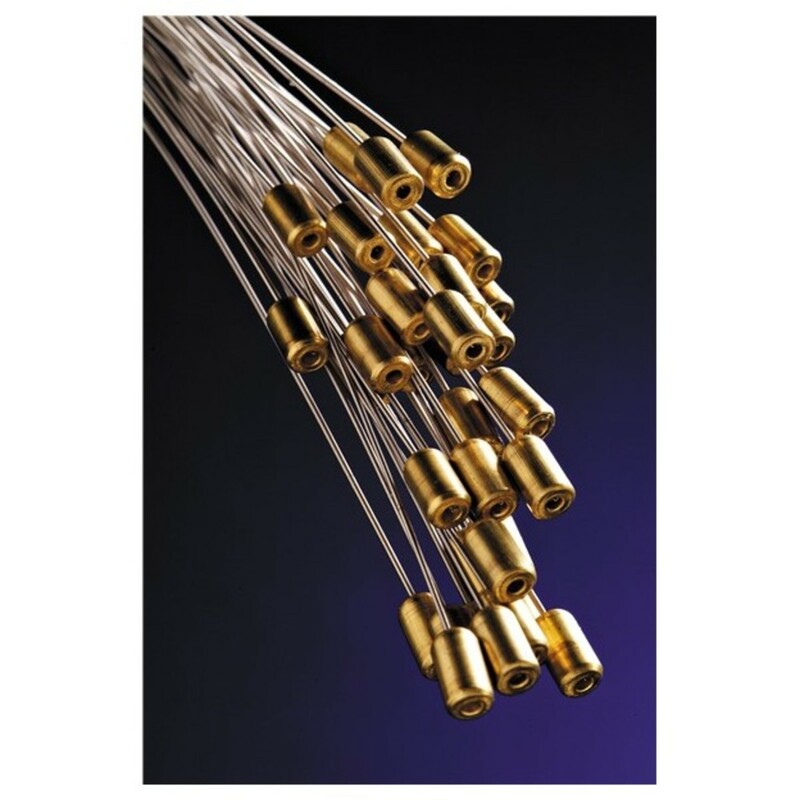 Fender Super Bullets are the ultimate string for Fender trem users. Nickel-plated steel makes these an excellent choice for rock and other styles of music where the guitar needs to cut through. 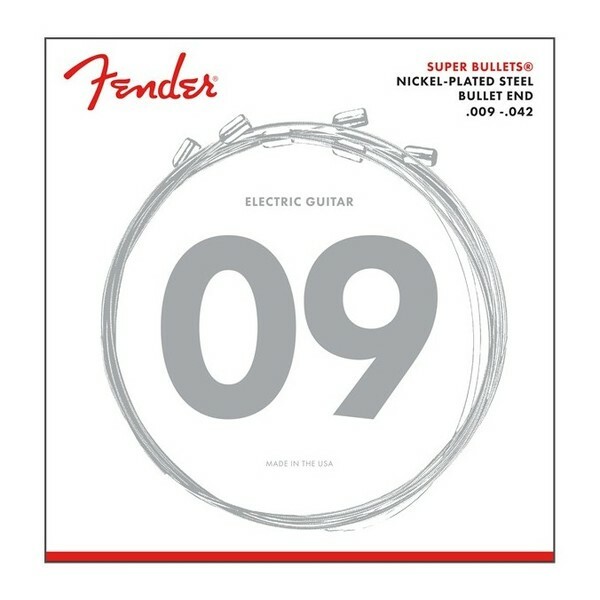 Fender String Construction: Nickel-plated steel, with bullet ends.